We are a solution driven and Customer First Company, focused on providing distinctive, functional and reliable choices. We are Christmas specialists.  Celebrations have a global network that allows us to offer our customers a wide and varied range of product in all size, shapes and colours. This capability guarantees that we can meet our customers’ requirements in a cost effective manner. Our in-house designers are on hand to work and guide you through the design services you need. Our visual merchandising team will work with you to ensure your distinctive requirements are met. Celebrations design and visual merchandising team can customise your Christmas product to meet your distinctive brand. Our team also can re-trim and revive existing items in a cost effective manner. You have Christmas trees or garlands but need an expert ‘fluffing’ and decorating team? We can arrange expert installation with our in-house team or regional decorating contractors. Celebrations Group can arrange display professionals, riggers, installers, and ‘fluffers’ all ready to prepare and display your Christmas decorations in an expert fashion.